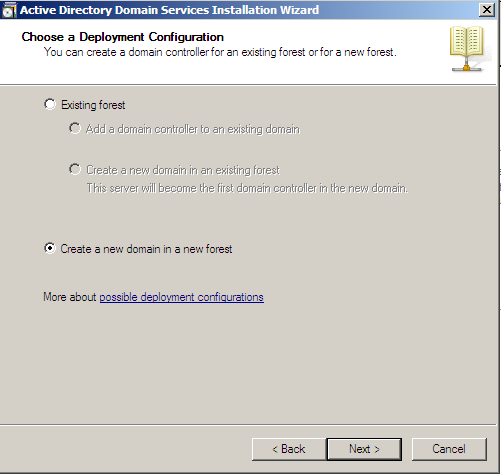 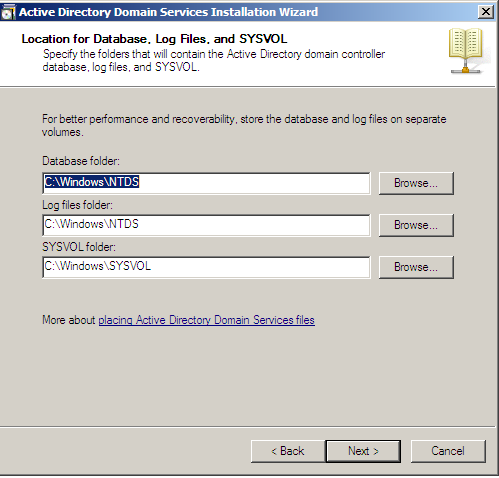 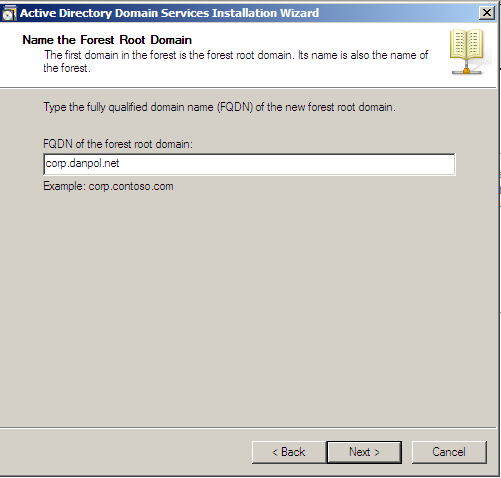 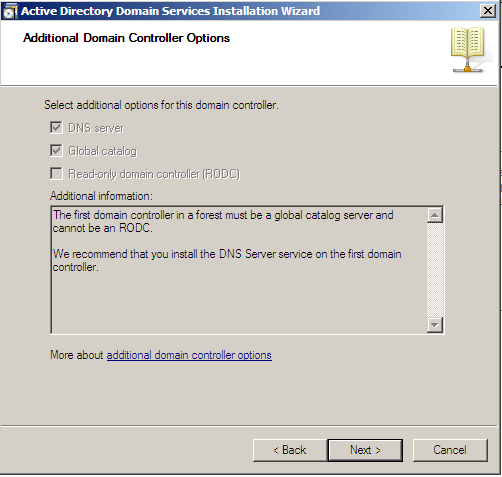 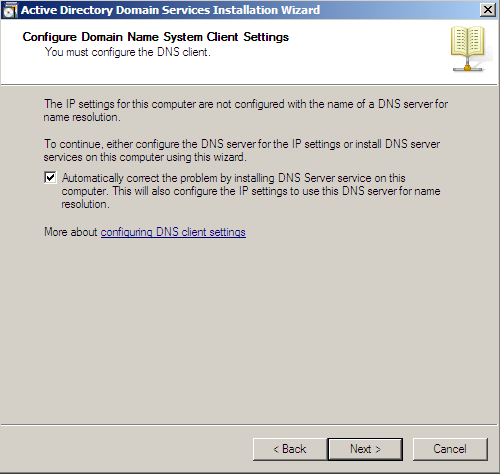 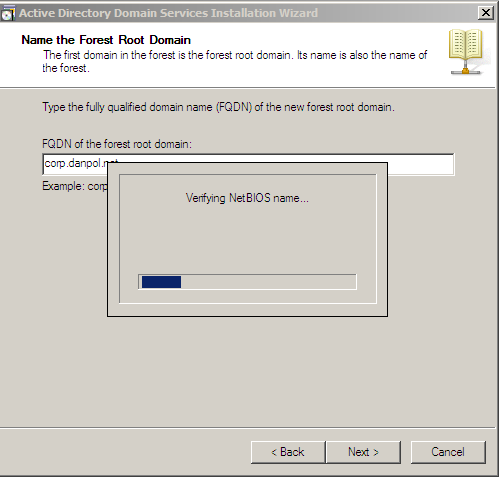 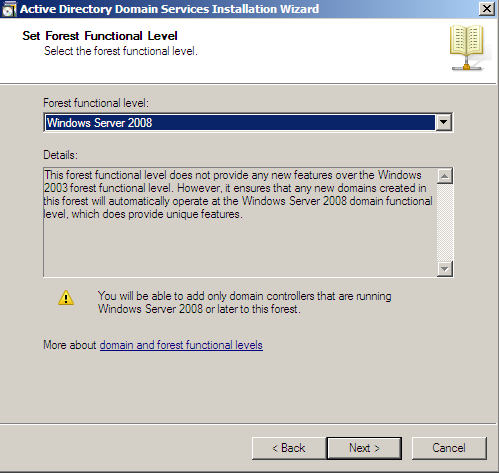 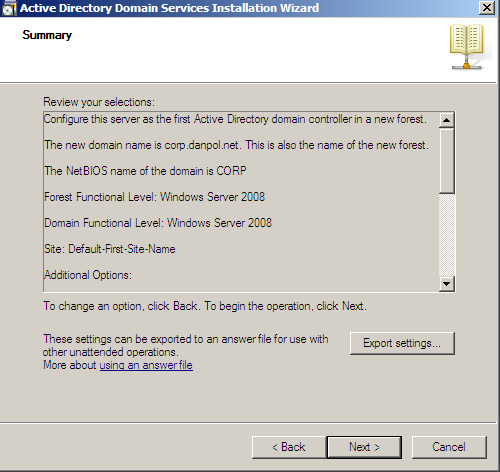 choose forest functional level, if you do not use older than w2k8 domain controller this choice is the best. 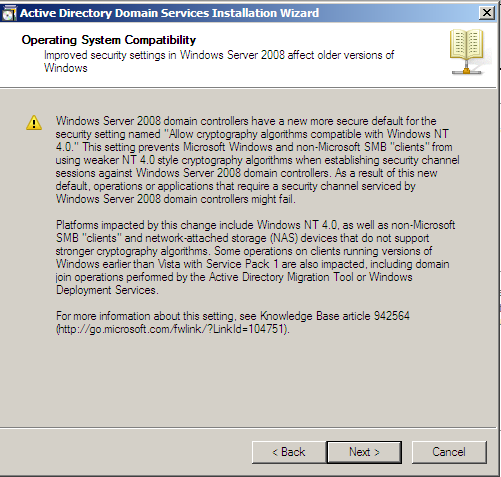 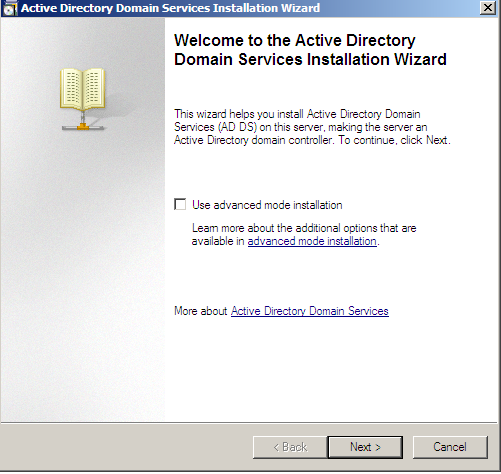 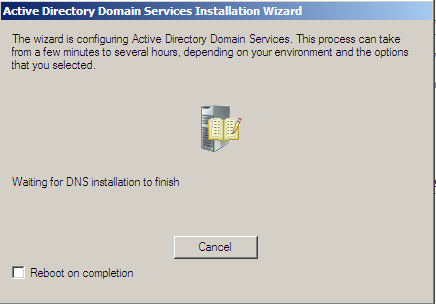 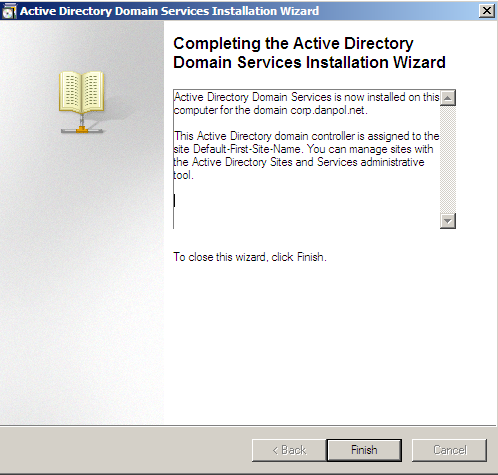 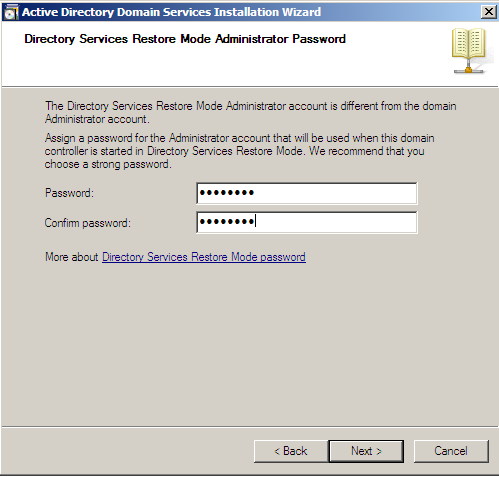 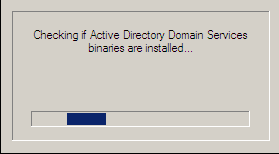 type password for “Restore mode”, it will be used during restoring Active Directory…I hope never! 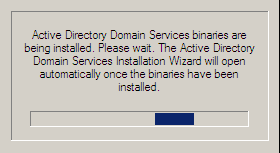 – click “finish” and restart server.